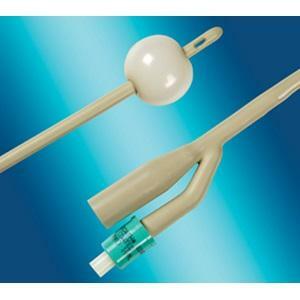 Catheter Foley fg18 10ml 2-way Biocath Female. Biocath Foley 2 way 10cc balloon catheters are designed with an ultra-smooth hydrogel coating that increases patient comfort, making it ideal for catheterisation in all times. It has been shown in studies that Biocath reduces urethral irritation, resistance to bacterial colonisation and reduces encrustation.Can remain in for up to 12 weeks.